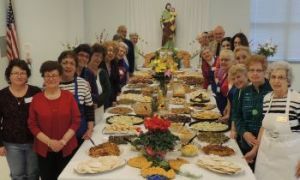 St. Joseph’s Table is an annual tradition celebrated in Saint Kateri Parish to honor St. Joseph in food and prayer. 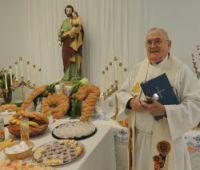 The table’s feast of meatless dishes, sweets, fruits and vegetables is donated by many parishioners as well as merchants and vendors in the Irondequoit area. St. Joseph bread is made by several of our ladies in the parish and given out with an orange at the time of leaving.